High school students Jonah Muniz and Victoria Massey will be taking part in the local March For Our Lives rally for stricter gun regulation. Buses from across the country will roll into the nation’s capital Saturday, delivering tens of thousands of students and their families to the March for Our Lives, a rally against gun violence sparked by one of the deadliest school shootings in modern American history. The speakers? No one over 18. “It was kid-based from the start, and we want to keep it that way,” said Jaclyn Corin, 17 and a survivor of last month’s shooting at Marjory Stoneman Douglas High School in Parkland, Fla., that left 17 dead. Adults across the country have marveled at the energy and power of a national conversation on gun control that is being led by high school students. The teens have stood before crowds of thousands, giving impassioned speeches broadcast around the world. They inspired a nationwide classroom walkout. Four states changed gun laws. And now, the rally in Washington, D.C., which could attract as many as a half million people and “sibling rallies” in hundreds of cities across the globe, including Boston. 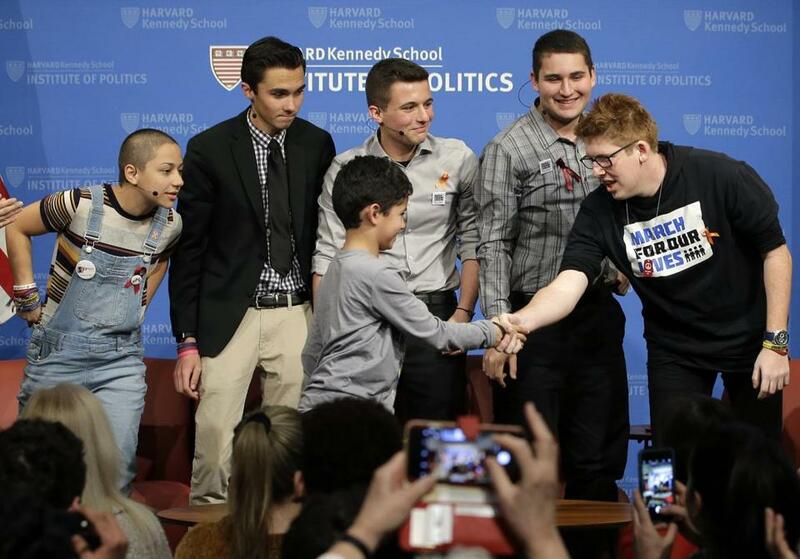 “Their energy and commitment is breaking through where other generations have not succeeded,” Mark Gearan, director of the Institute of Politics at Harvard University, said Tuesday at a forum in which several Parkland survivors spoke. The country — including Boston — has a long history of activist movements with young people at the forefront. Students staged lunch-counter sit-ins during the civil rights movement. Young people protested the Vietnam War at the 1968 Democratic National Convention. And in the past few years, young people have influenced attitudes on everything from income inequality (Occupy Wall Street) to police brutality (Black Lives Matter) to immigration reform (Dreamers). This moment, though, feels different, according to youth organizers and those who study the nation’s social movements. The anti-gun-violence rallies and protests led by young activists have been roundly applauded by adults, including prominent politicians and pundits. That’s partly because the adults have largely conceded the Parkland students’ point: No child should go to school fearful that he or she might not come home. What has been intensely debated is what to do about it. And while young activists are heartened that adults are paying attention, they caution that the voices of Parkland teens — largely white and middle class — should not drown out the concerns of activists of color and those with less affluence who have been working on similar issues for years. Noah King, 9, of Belmont stepped on stage to greet Marjory Stoneman Douglas High School students at Harvard on Tuesday. Six of Corin’s schoolmates from Parkland told a crowd at Harvard Tuesday that gun violence must become a voting issue regardless of political affiliation and that they plan to do everything they can to defeat elected officials who fail address the issue. Many of the students will be voting for the first time this fall. “Every place in America needs to come together and stand up for this,” said Matt Deitsch, a 2016 graduate of Stoneman Douglas High whose brother survived the Feb. 14 shooting. Then he recalled a recent anti-violence event in Liberty City, a Miami neighborhood that is about 45 miles south of Parkland but a world apart. Parkland is a mostly white, affluent, suburban community with high-performing schools. Liberty City is a predominantly black neighborhood scarred by poverty, struggling schools, and violence. Too often, the voices of young people of color from impoverished and working-class communities are not heard, said Sarah J. Jackson, a professor at Northeastern University who studies how activists use and are presented in the media. That is not to say that the Florida teens have not been subjected to vitriol from gun rights groups and conservative pundits. Recently, a Republican candidate for the Maine Legislature disparaged two survivors of the Parkland shooting on Twitter and was forced to drop out of the race after facing intense backlash. Such reactions have been a topic of conversation among 17-year-old Trent Jordan and other youth activists in Boston. “It’s a beautiful and necessary action step” for the Parkland students to coalesce with young people of color in Chicago, Miami, and elsewhere, said Jordan, a junior at Roxbury Prep High School. 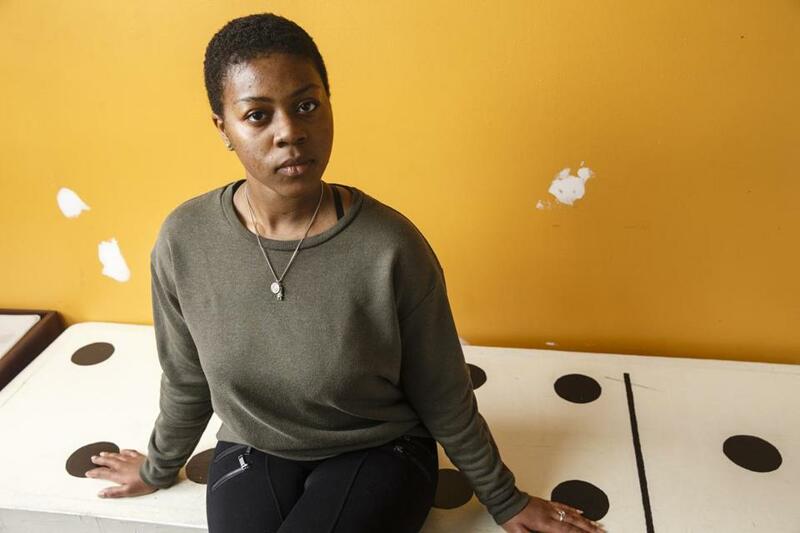 Too often, gun violence in minority communities gets overlooked, said Sophia Bereus, a junior at Jeremiah E. Burke High School in Dorchester. “People are just like, ‘Oh. Another shooting,’ ” she said. But now that gun violence is in the spotlight, people need to talk about how a lack of academic and economic resources influences violence in communities of color, Bereus said. Both she and Jordan are worker rights advocates with the group Teens Lead at Work. Shayne P. Clinton, a senior at Boston Latin Academy, said he was struck by how differently the public has reacted not just to the Parkland students but also to the shooter himself. Clinton, a youth organizer with the Hyde Square Task Force, a youth development and advocacy organization, said that if the teen who killed and injured dozens inside the Parkland high school looked like him — brown skin and an afro — his cognitive abilities would have been of little concern in the eyes of many in the public. But the fact that adults are finally listening to what young people have to say is “amazing,” said Jonah Muñiz, 16, a student at John D. O’Bryant School of Mathematics and Science in Roxbury. 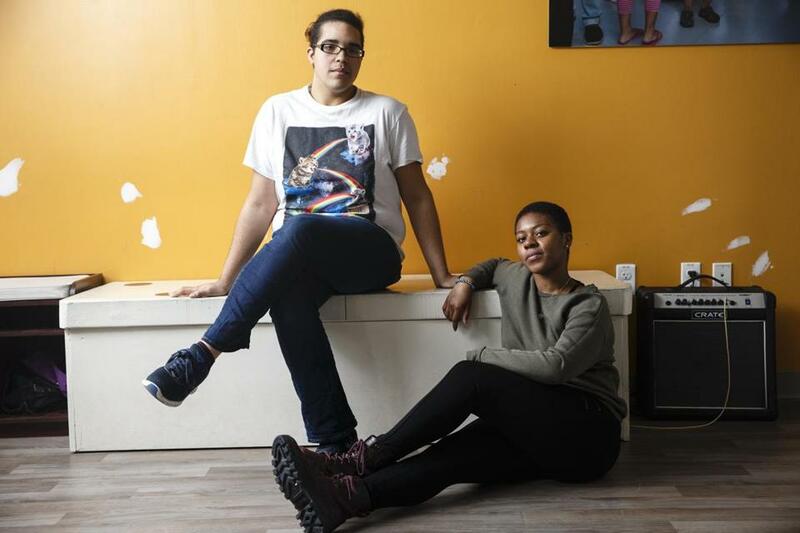 Muñiz and other teens at the Task Force have pushed to improve their community by forcing business leaders to make good on promises to help pay for a neighborhood recreation center and lobbying Boston school officials to better fund art programs. Too often teens are not given the time or space to talk about the larger social issues affecting their communities and country, said Victoria Massey, a senior at Charlestown High and Task Force organizer. Still, too often teens are not given the time or space to talk about the larger social issues affecting their communities and country, said Victoria Massey, a senior at Charlestown High and Task Force organizer. She described a recent classroom assignment in which her teacher suggested the class write letters of support to the students in Parkland. One of her classmates refused, upset that the trauma in her community is too often ignored while the pain of the Parkland students received worldwide attention. Saturday, though, is about giving young people the chance to express themselves in order to affect change. In addition to the rally on Boston Common, four busloads of students will leave Codman Square for Washington, D.C., late Friday on a trip sponsored by two anti-violence programs, Operation Lipstick and We Are Better Together Warren Daniel Hairston Project. So will these Boston teens attend Saturday’s rally?